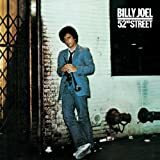 “Big Shot ” was the second hit single from Billy Joel ‘s 1978 album 52nd Street. The song was released in early-1979, just as his other hit single from that same album, “‘ My Life “, was peaking at #3. It would soon become his second top-twenty hit of 1979, peaking at #14.The song is superficially about the protagonist mocking a woman with a severe hangover about her intoxicated escapades around town, making numerous social and verbal faux pas while high on alcohol and drugs (“But now you just can’t remember / All the things you said / And you’re not sure you want to know / I’ll give you one hint, honey / You sure did put on a show!”) The song makes late 1970s cultural references to such nouveaux riche fads as Elaine’s Restaurant and Halston. 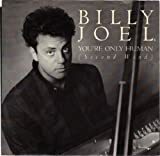 At one point, Joel said in an interview that the song was actually about himself (that he was the one who “had to be a big shot”. );A rumor that the song was based on a bad date with Bianca Jagger, Mick Jagger ‘s first wife, is not true. In an interview in 2006, Billy Joel said, “I read that the song ‘Big Shot’ is said to be about a date I had with Bianca Jagger. I never had a date with Bianca Jagger.” But in an interview with Howard Stern on November 16, 2010, Joel admitted that the song was written after having dinner with Mick and Bianca Jagger. Joel told Stern that while writing the lyrics to “Big Shot,” he was thinking of Mick singing the song to Bianca. The internet is full of splendid information on the right way to learn about piano and a way to uncover what your favourite piano music is. Many people acquire a quality on-line training program and then use our webpage to enable them to find the sheet music require for it. Diversify yourself into studying a broad spectrum or perhaps repertoire no matter if you plan to study pop keyboard, traditional music or whatever.